Neighborhood walking tours start tomorrow Reviewed by Edgeville Buzz on May 28, 2009 . There are multicultural and unexpected legacies on the Far North Side. A comprehensive walking tour of Uptown’s Hutchinson Street exposes the largest cache of George W. Maher–designed mansions in the U.S. Get the scoop on Uptown’s early days as a major entertainment district and its current attractions. 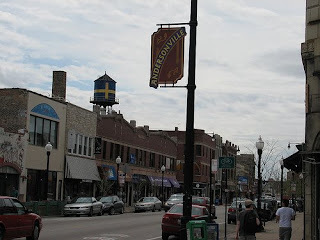 Tap into German, Swedish and other cultures in the Lincoln Square and Andersonville neighborhoods during your own mini-explorations.